A quick and simple exercise to get the benefits of meditation. Mindfulness meditation has gotten a lot of good press, because it offers real and tangible results. By consciously focusing on your experience in the present moment, returning to it as find you have wandered away, you learn skills in attentional, cognitive, and emotional flexibility. Those skills help you get unstuck from thoughts, feelings, memories, and sensations when that’s necessary. However, just like any other skill, meditation requires practice. Without practice, you can only expect small improvements. And unfortunately, this is the breaking point for many. 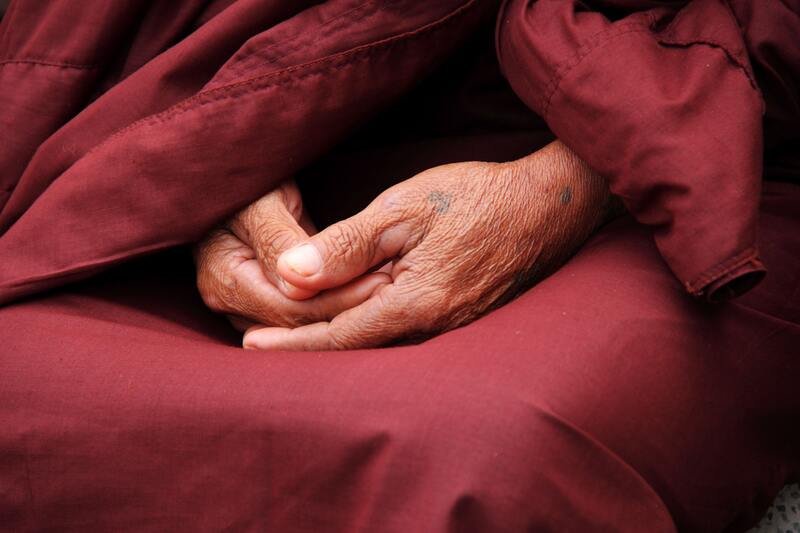 Many people who would otherwise benefit greatly from contemplative practice, never do it. Lots of reasons. They may lack the time or the discipline to practice. Some may be afraid of historical linkages to particular religious traditions. Others get confused whether they are doing it “correctly”, and give up as a result. And some people just don’t like meditation – period, end of story. I’m concerned that we are making these important skills more difficult to acquire by focusing too much on contemplative practice as the only method. Worse, sometimes we focus too much on the label “mindfulness” itself. In the early days of ACT I consciously avoided the “M word” and even today I use it less than many. Why? Not because the skills are unimportant. I just do not want yet another barrier to be created. Monks have hit each other on the head with sticks over debates about “what is mindfulness?” Some schools are taking stands right now to keep the “M word” out of their educational systems. Do we need that stupid fight? Over a label? Everyone knows we need more attentional, emotional, and cognitive flexibility in our culture, schools, kids, and in ourselves. Let’s not let methods and labels get in the way of that. Let’s find ways forward that frighten no one and that can kit into our daily life easily. The key processes inside “mindfulness” don’t need a lot of time. In fact, you can easily work on these skills every morning, without adding anything to your to do list. Here’s an example of how. Step #1 Pick an activity. Step #2 Do it at half speed. That’s it. No sitting down. No closing your eyes. No quiet environment away from the children. Just you; here and now; at half the speed. No, I’m not saying this method is the end all and be all. Maybe years of meditation will do lots of additional things. Its an empirical question. I’m just saying that slowing down is a useful practice that helps teach skills we know change via meditation, and that are important to mental and behavioral health. You can practice while taking a shower. Step into your shower, as if moving in slow motion, and then slowly turn the knob. Feel the water droplets on your skin, and the change in temperature. Now pick the shampoo bottle, and slowly massage the shampoo into your hair. You can practice while getting dressed. Slowly open the drawer, and consciously pick your socks for the day. Take the first sock, and slowly pull it over your foot. Notice how the texture of the sock feels on your skin. You can practice while eating your breakfast. Slowly pick up your fork, and press it it gently into your meal. Lift it up, and then slowly take the first bite. Take your time to chew, and then consciously swallow. Whenever you do an activity in slow motion, you emphasize its physical and sensual nature. You automatically notice more facets of your experience, and more of the richness and complexity even of “simple” actions. Have you ever watched an infant learn to grasp an object? You were once that infant. Slowing down takes you back to a “beginner’s mind” and the world takes on a whole new, fresh quality. Your attentional patterns naturally shift as you slow down. You realize that there are sequences of events inside actions and that you coordinate them in an intentional way that requires a certain degree of conscious attention. On top of that, you will notice an urge to move more quickly, and maybe even some self-doubts like “this is stupid”, or “this is not working”. That’s fine. Noticing these urges and thoughts, and then continuing in slow motion, practices skills of acceptance and defusion from the automatic behavioral impact of thoughts. You may want to challenge yourself to move in slow motion for 30 seconds. Then one minute. And then maybe even three minutes. It’s your choice. By moving in slow motion you will learn to bring your attention to your present experience, and practice a skill set necessary to disentangling from difficult thoughts and emotions. Whenever you get caught up in your own head, notice what you are doing, and refocus on the here and now. Use your flexibility skills. Regardless of method or name, they will help you prosper.